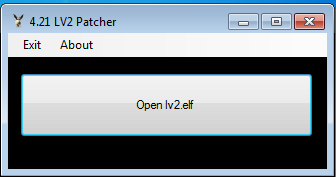 Basically what this does it disables lv2 from using the appldr to check homebrew. This will allow you to sign and run homebrew. Just for a heads up. This has about no use to the average user because you need the lv2_kernel decrypted for this to work. Press the big button in the middle.